This is a great thriller. It's fast paced and there is a lot to this storyline. Faith and Mitchell Hayden (Hayden) have a secret thing going, but when it becomes apparent that Faith might be in danger, Hayden will do everything in his power to make sure that she remains safe. Macy Crow is an FBI agent who has come home to identify her father. With the distance in their relationship, Macy hasn't been home in quite a while, but as soon as she steps foot back near her dad's junk yard, she knows that he has left clues for her to follow. This is a story with a twisted trail of clues and everyone is racing the clock to figure them out. Without revealing too much of the story, let me just say that while you'll guess for a lot of the story, once it's revealed, there is still a lot to the story. I enjoyed the twists and turns, and the dialogue was well developed too. I loved this story and really liked how the relationship didn't take over. It was a thriller that stayed a thriller. Can't wait to read more of Burton's stuff! When I started this book, I didn't know what to think. The story starts out going in one direction and then does a 180-degree turn. The story only gets better from there. Faith McIntyre is a medical examiner and just started something with Mitchell Hayden, a Texas Ranger. Both are not looking for a relationship and what happened was just something that happened. Until it keeps happening. The romance is the side story in this book, finding out who is Faith's biological parents quickly becomes the focus as the people who have information about her birth are quickly dying around her. Hayden isn't really ready for a new relationship after having lost his wife four years ago to cancer. But there's something about Faith that calls to him. When her life is in danger, his protectiveness overwhelms him and he starts thinking "What if?" and more importantly "Can there be more?" Be prepared to stay up all night reading because it’s not a book you will want to put down once you start. The murder of 60-something junkyard owner Jack Crow leads to the discovery of graves, missing girls, and crimes that go back to the 80s. It felt like something out of an episode of Criminal Minds, which is one of my favourite shows. Dr. Faith McIntyre, medical examiner, and Texas Ranger Mitchell Hayden, who are investigating this case, also provide the romance which is subtly woven into the story. We are also given the point of view of Macy Crow, Jack Crow’s daughter and FBI agent, the killer, and a girl currently being held captive. 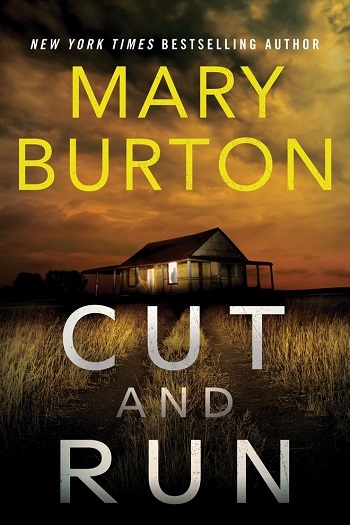 Cut and Run is an excellent crime thriller. There is a good, steady pace to this story and even though I was getting excited wanting to rush to the end so that I knew what was going on, the story kept the same steady rhythm, slowly revealing each clue and twist to the story, making it last which made it even better. Cut and Run gets a solid four stars from me. I love the suspense in this book. The story starts with seemingly unrelated characters, histories, and fragments of the present. Slowly, the investigators start to discover the connections between the characters and past and present crimes. I love that there are enough clues for readers to solve this alongside Faith, Mitchell, and Macy. This is a chilling and often gory thriller. The book is marketed as romantic suspense but it’s light on romance and heavy on gruesome details and grisly murders. I loved the story, but pure romance readers might want to look elsewhere. The characters are brilliant. Medical examiner Faith is a wonderfully strong female lead and FBI agent Macy is fearless. Texas Ranger Mitchell Hayden is as swoon worthy as he is clever and committed. This is an entertaining read but I’m not sure it wins points for realism. Medical ethics boards would certainly frown on Faith’s continued involvement in the case once it becomes personal and I’m not sure the FBI would allow an agent to investigate her own father’s death. Roles are a bit blurred in this story and while the mix of personal and professional is exciting, it isn’t terribly realistic. Mary Burton is becoming an auto-request author for me. I really enjoy her stories and I love her characters. The Texas setting of this book is brilliant and I love the author’s observations and reflections. 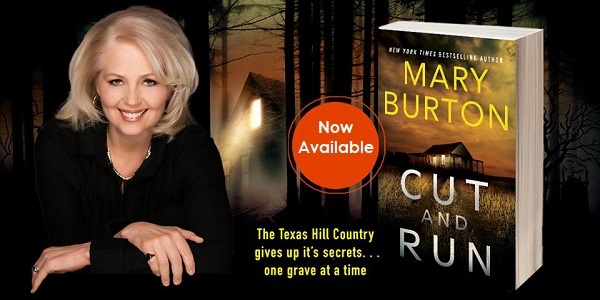 Reviewers on the Wicked Reads Review Team were provided a free copy of Cut and Run by Mary Burton to read and review.